Today we celebrate the anniversary of the Declaration of Independence with fireworks and picnics. But there is another day worthy of a passing mention. That is July 6, the day the declaration was first reprinted on the front page of The Pennsylvania Evening Post. In the following weeks, by order of Congress, at least 30 newspapers reprinted the Declaration of Independence, spreading its simple words and its audacious act of treason against the crown. It was a document for the people, carried to the people by the press. At the time, the colonies were under virtual blockade and the American Army was vastly outnumbered and often in retreat. Librarian Robin Shields recounts that when the Boston Gazette published the declaration it carried next to it an advertisement: “Cash given for clean Cotton and Linen RAGS, at the Printing-Office in Watertown.” Most paper was imported from England, and the printer was seeking rags with which to make paper. In a letter the next day he reported that British deserters were telling him a fleet with massive reinforcements was expected to arrive in New York any day. The situation was dire. It was in this setting of uncertainty and imminent danger that our founding document was penned. How it fell to 33-year-old Thomas Jefferson to pen the first draft is a matter of some dispute, but I prefer the recollection of chief independence protagonist John Adams. Most of which, of course, was nonsense. 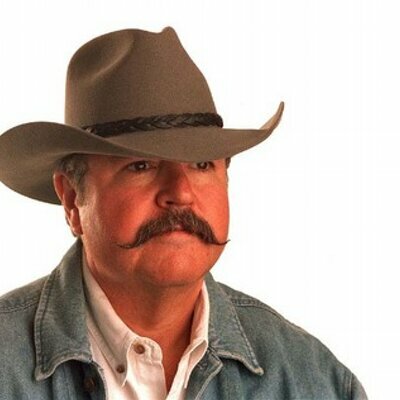 Today 52 percent of Americans, a majority, receive some kind of government check. Federal regulations cost $2 trillion a year. Entitlement programs are going broke. Debt is ballooning. Foreign powers neither trust us or fear us. Morality and ethics are situational. The government enforces only those laws it wishes to enforce. Politicians lie, cheat and steal without fear of facing any consequences. The media are largely toothless and growing weaker. Even when the voters revolt and elect people they think are fiscal conservatives, the elected officials raise taxes and do nothing to rein in runaway spending on government programs and employee pay and benefits. At the time of the Revolution, it is estimated the typical tax burden — with or without representation — was 20 cents per capita per year at a time when annual earnings were somewhere between $60 and $100. Today the total tax burden is more than 40 percent. I wonder whether we have lost that American mind-set that Jefferson cherished. 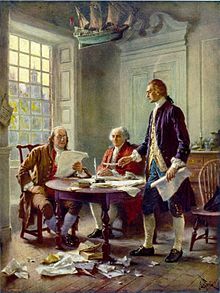 How many of us are still willing for the sake of true liberty to pledge “our Lives, our Fortunes, and our sacred Honor”? Even the meaning of the word liberty has changed from an inalienable right to something granted by the all-powerful government. “Our Constitution — like the Declaration of Independence before it — was predicated on a simple truth: One’s liberty, not to mention one’s dignity, was something to be shielded from — not provided by — the State. Today’s decision casts that truth aside. In its haste to reach a desired result, the majority misapplies a clause focused on ‘due process’ to afford substantive rights, disregards the most plausible understanding of the ‘liberty’ protected by that clause, and distorts the principles on which this Nation was founded. Its decision will have inestimable consequences for our Constitution and our society,” Justice Clarence Thomas wrote in the gay marriage ruling several years ago. We’ve strayed far since 1776. Harry Reid to Nevada voters: Let’s consider diluting the value of your vote. 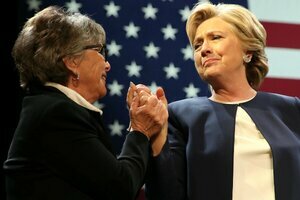 Sen. Barbara Boxer, D-Calif., filed a bill Tuesday to abolish the Electoral College. In the unlikely event Congress were to pass the bill, amending the Constitution still would require agreement by three-fourths of the state legislatures. For Nevada voters dumping the Electoral College system would mean the state’s collective voting strength would drop from six to four. The electoral college system was set up to give smaller states like Nevada an outsized voice in the presidential election. In a proportionate system, Nevada would have only four votes, one for each member of the House of Representatives, which is divvied up by population. But Nevada gets two extra votes, one for each senator. Similarly, instead of having only one vote, Wyoming, Montana, Alaska, the Dakotas and a couple of others get three. When the Constitution was written the states were intended to be sovereign entities, conducting the affairs within their borders, while the federal government would handle those enumerated duties beyond the scope or power of the individual states, such as defending the country from invasion and regulating interstate commerce. Over the years the federal government has usurped more and more powers never envisioned by the Founders. Congress — using the carrot and stick of federal funding — dictates to states what the legal drinking age will be, what the highway speed limits will be, what education standards should be attained and whether to expand Medicaid, among many, many other things. If Harry wants to consider some hearings on a constitutional amendment that would be educational for the country, he should call for hearings on repealing the 17th Amendment, which in 1913 changed the election of U.S. senators from selection by state legislatures to a popular vote. Since then the Congress has treated the states like fiefdoms over which it holds indomitable power. But in a fit of progressive pique this common sense check against unbridled power was overturned by the 17th. If Harry wants to dabble with the Constitution, he should look to the 17th Amendment, not the Electoral College. This Saturday we celebrate the anniversary of the Declaration of Independence with fireworks and picnics. “Our Constitution — like the Declaration of Independence before it — was predicated on a simple truth: One’s liberty, not to mention one’s dignity, was something to be shielded from — not provided by — the State. Today’s decision casts that truth aside. In its haste to reach a desired result, the majority misapplies a clause focused on ‘due process’ to afford substantive rights, disregards the most plausible understanding of the ‘liberty’ protected by that clause, and distorts the principles on which this Nation was founded. Its decision will have inestimable consequences for our Constitution and our society,” Justice Clarence Thomas wrote in the gay marriage ruling this past week. We managed to repeal the 18th Amendment, which created Prohibition. It is time to repeal the 17th. What? You have no idea what the 17th Amendment is? Well, it is the one that effectively ended federalism by taking the power to appoint U.S. senators from state legislatures and having the citizens directly elect them, as they had always done with the House of Representatives. We may not get better senators, but it is likely they would not try dictate to the states what they should do — as they did when they set the national speed limit at 55 mph and the drinking age at 21, under threat of losing highway funding. No Child Left Behind dictates education standards under threat of losing funding. The Motor Voter Law told states how to register voters, as recounted in this week’s newspaper column available online at The Ely Times and the Elko Daily Free Press. ObamaCare threatened federal funding if states did not expand Medicaid and set up exchanges, until the Supreme Court decided that was too onerous. There was a grand design to balance power, but that was broken in 1913 with the passage of the 17th Amendment. The delegates backed him unanimously. Justice Antonin Scalia in 2010 at Texas Tech University Law School was asked what he would change about the Constitution. That’s how we got FDR’s New Deal. Then there is the argument put forward by Nevada’s own Jay Bybee, former William Boyd Law School constitutional law professor at UNLV and now judge on the 9th U.S. Circuit Court of Appeals on the recommendation of Nevada’s senior senator, Harry Reid. In 1997 Bybee penned an article for the Northwestern University Law Review titled “Ulysses at the Mast: Democracy, Federalism, and the Siren’s Song.” In Greek mythology, beautiful sirens lured sailors with their music and voices to shipwreck on the rocky coast of their island. If the state Legislature of Nevada appointed the state’s two senators, do you think Reid would be calling them cowards for not voting to outlaw brothels in rural counties as he demanded in a speech at the Legislature in 2011? The audacity of such power.